Perry V. Zizzi is Romania managing partner and coordinator of Dentons Bucharest banking and finance group as well as co-head of the real estate finance sub-sector group. 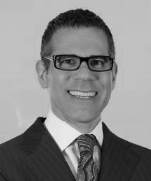 He is a core member of the real estate team, with over 19 years of experience practicing law in the emerging markets of Central and Eastern Europe, Western Europe, the U.S. and elsewhere. Perry has advised on numerous real estate development, financing, acquisition and leasing transactions in Romania, Ukraine, Poland, Czech Republic, Slovakia, Turkey, Hungary, Russia and Italy. His experience in finance is particularly broad, spanning syndicated loans, receivables securitizations, capital markets, senior and subordinated debt, recapitalizations and acquisition finance. P3: Advising P3, the specialist owner, developer and manager of European logistics properties, on the acquisition and financing of a portfolio of three logistics parks in Romania and Poland. GLL: Advising GLL in connection with its acquisition from Portland Trust of Floreasca Park, the largest office building transaction ever in Romania. GLL: Advising GLL in connection with the acquisition and financing of Victoria Center in Bucharest. Banca Comerciala Romana: Advising the lender on financing of CTP’s acquisition of a portfolio of logistic properties in Deva, Turda, Arad and near Bucharest. Banca Comerciala Romana: Advising the lender on financing the development by Portland Trust of the Oregon Park office project. AIG: Advising AIG on its buyout of Lincoln in Bulgaria, Czech Republic, Germany, Hungary, Italy, Poland, Romania, Russia and Spain. AIG: Advising AIG in connection with the sale to White Star of its real estate management companies in Czech Republic, Hungary, Poland, Romania and Russia. Unicredit Bank Austria and Yapi Kredi: Advising on €120 million financing for acquisition by Blackstone from Redevco of a portofolio of shopping centers in Turkey. Credit Suisse: Negotiation of EUR 130 million promissory note purchase program with Romstrade for finance of highway project in northeast Romania. Unicredit Bank Austria: Advice on EUR 45 million development and investment loan facility for construction of a retail center in Craiova, Romania, by joint venture of Bel Rom, involving co-financing of development by Auchan. Further advice on defaults, acceleration and enforcement following complex series of disputes between borrower and general contractor. IGD: Advice to Italian retail operator IGD on EUR 182.5 million acquisition from New Century Holdings of portfolio of 16 Winmarkt shopping centers in various cities throughout Romania. Unicredit Bank Austria: Advice on EUR 39 million financing for development of logistics facility in Kyiv by Cube. This was the first financing in Ukraine under a facility agreement with a dual borrower structure, where one of the borrowers was a foreign company. Hypo Real Estate Bank International: Lender due diligence and advising on €315 million financing to Aerium and Bainbridge of acquisition from Carrefour of shopping center and hypermarket properties in Poland, Czech Republic, Slovakia and Turkey. AIG/Lincoln: Negotiation of EUR 125 million construction loan for new shopping center near Rome, Italy. Heitman International: Negotiation of EUR 40 million credit facility for acquisition of business park under development in Slovakia. Iulius Group: Representation of Iulius Group on EUR 175 million refinancing and construction facility from Eurohypo for a retail and office portfolio located in several cities across Romania. Bank Austria Creditanstalt: Representation on financing of USD 81 million logistics facility to the south of Moscow by Grove Investments. Baneasa Developments: Advice on aggregate EUR 160 million financing with syndicate of banks comprising BRD-Societe Generale, Societe Generale, HVB Romania, Bank Austria Creditanstalt, Banca Romaneasca and National Bank of Greece for acquisition of Feeria Shopping Center in Bucharest and development of IKEA, second shopping mall and office building. Investkredit: Representation on loans to Fabian Capital for acquisition of Evocenter office building and Baneasa Center office building, both in Bucharest. 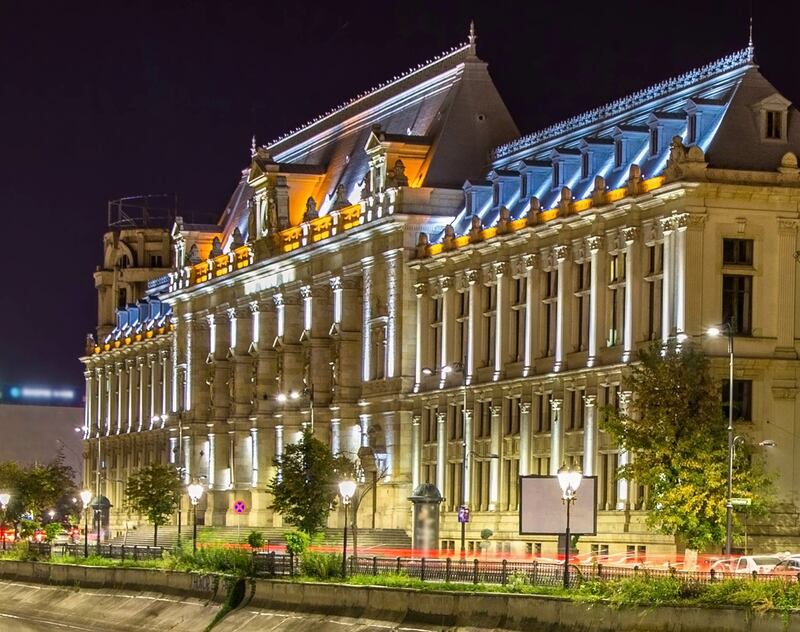 Societe Generale: Represented Societe Generale in the Luxembourg-listed RON 735 million bond issuance by its Romanian subsidiary BRD – Groupe Societe General, the first-ever bond denominated in Romanian currency to be listed on a foreign exchange. Unicredit Bank Austria and UniCredit Tiriac Bank: Negotiation of €124.5 million syndicated construction and refinancing facility to Romanian and Netherlands dual borrowers (both subsidiaries of Turkish conglomerate Fiba Holding) for Bucuresti Mall and Plaza Romania shopping mall and an office building in Bucharest. This was the largest financing in Romania and one of the largest in Central and Eastern Europe at the time. American Airlines: Advice on US$190 million private placement by Brazilian governmental agency to monetize future cash flows from loans made to American Airlines for the purchase of aircraft from Embraer, a Brazilian aircraft manufacturer. Clayton, Dubilier & Rice: Advice on US$100 million senior subordinated joint note issuance by a US and a Mexican company for the acquisition by Clayton, Dubilier & Rice of Jafra, an international cosmetics direct selling company, the first ever such joint issuance by a US and a Mexican company. Teachers Insurance & Annuity: Advice on US$90 million secured export financing for Petrobras, the Brazilian state oil company, through a private placement of notes with a group of insurance companies led by Teachers Insurance & Annuity. IFLR1000 2014: Perry - a “leading lawyer” and a “leading figure” in Banking & Finance. Legal500 2014: Perry - “simply outstanding and a pleasure to work with”.